Major Deployments/Misc: Making the find with your K9 partner. Most Memorable Moment: Seeing the faces of family members when they find out their loved one is alive and well. 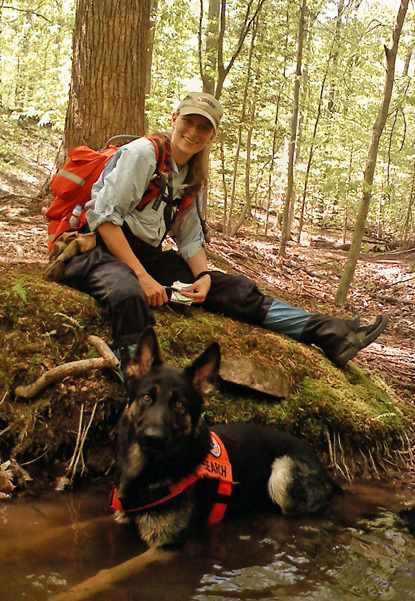 Notes: "My husband & I both participated in SAR with our first dog, Cooper. 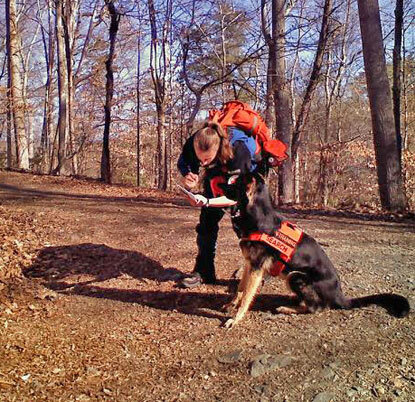 We trained the dog together for area search. It wasn't easy and we needed to communicate, even the most minuscule things. 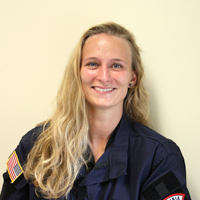 However, sharing SAR with a spouse is truly fantastic." 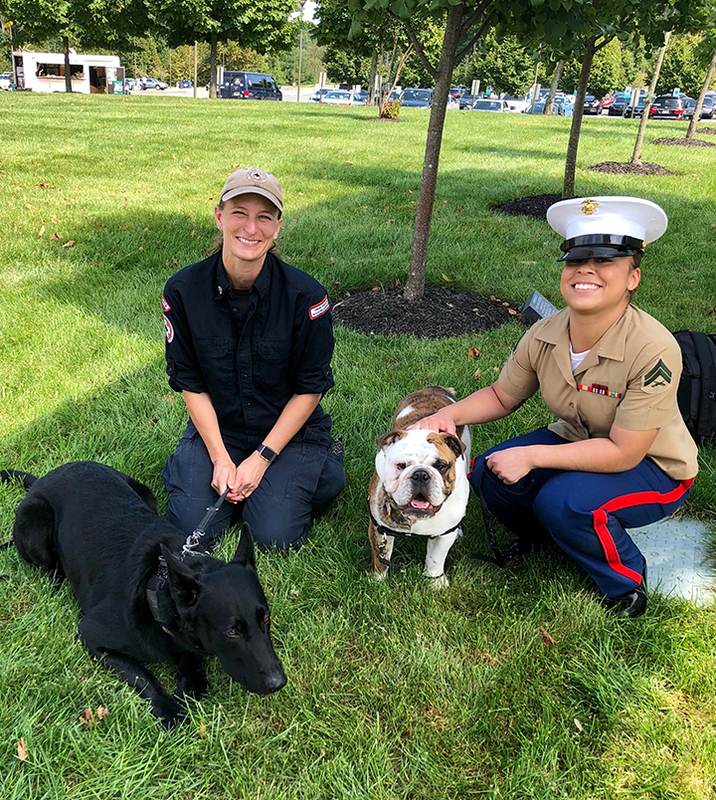 K9 Kona & Autumn met with Chesty XV and his handler, Cpl. Martinez in September 2018 at the National Museum of the Marine Corps. "Hey, Cooper, should we have taken a left at Albaquerque?" Autumn & K9 Cooper on their 160-acre test in 2009.